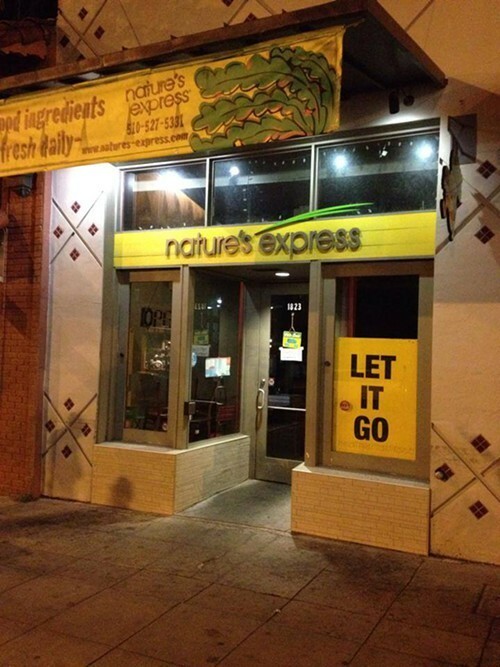 Nature’s Express (1823 Solano Ave.), a vegan fast food eatery in North Berkeley, announced last week that it had been forced to close its doors temporarily, but would be reopening soon under new management. Ownership shuffles like this are a dime a dozen, but the announcement came with more than its share of drama: after the new owners fired three employees, including the chef, the majority of the remaining workers — at least ten of them as of this posting — quit in protest. Now, as the new management team works to pick up the pieces, the departed workers have started a minor social media firestorm, posting a series of heated comments on the restaurant’s Facebook page that cited, among other things, the threat of reduced wages, a “lack of transparency,” and a betrayal of their ideals, as reasons for their decision to quit. What’s more, they’re now encouraging Nature’s Express customers to no longer patronize the business when it reopens. Josh Levine, a spokesperson for the new ownership team, told What the Fork that these accusations are flatly untrue. As the owner of several successful vegan businesses in the East Bay, most notably Pepples Donuts, Levine said he was brought in as a last-ditch effort to save a failing business that was otherwise destined to close for good. But instead of thanks, he said he’s received nothing but mudslinging. “[The former Nature’s Express employees] found out they were going to have to work at a place that was going to be set up differently, and then they quit. And they’re complaining that they quit their jobs. That’s ultimately the story here,” Levine said. Longtime customers should have known that trouble was afoot this past December when the restaurant’s founder, a mild-mannered medical oncologist named Carl Myers, took to Facebook to announce that the McDonald’s fast-food model had prevailed and that Nature’s Express had no choice but to close up shop due to ongoing financial woes. Although he had dreamed of changing the way that Americans eat, Myers declared the restaurant a business failure. Days later, Myers recanted, in response to “heartfelt support and overwhelming response” from customers, and the restaurant stayed open after all. When the other shoe finally dropped last week, it was with the force, and the ensuing mess, of a boot heel smashing down on overripe fruit. In a series of heated exchanges that have since been deleted from the Nature’s Express Facebook page, former employees accused Levine of dismissing their questions with “vague and roundabout answers.” There were Internet rumblings of a boycott and, not to be outdone, of a boycott of the boycott. Meanwhile, a crowd-funding campaign was launched to raise money to support the employees who were, in their words, “either fired or forced to leave,” while they search for new jobs. Without adequate staff to run the restaurant, Levine was forced to shut Nature’s Express down last Wednesday. According to James Granatowski, a former manager at the restaurant and a spokesperson for the recently departed employees, the staff’s primary complaints were twofold: First, they were unhappy with the fact that three of their colleagues — including, most notably, the restaurant’s founding chef, Joel Daniel — were fired with no explanation. Second, Granatowski explained, the workers didn’t feel comfortable continuing to work for a group of “mystery owners” who refused to identify themselves. 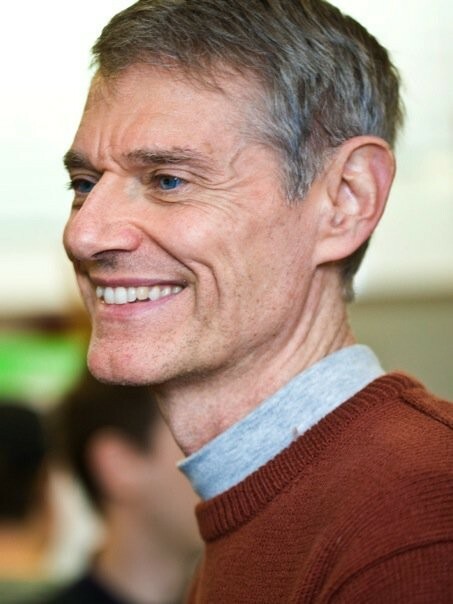 As for the other complaints, Levine said that his task, first and foremost, is to turn Nature’s Express into a sustainable business. “[Daniel] was the head chef for a company that lost $20,000 a month,” he said, citing financial records that indicated the restaurant was losing between $10,000 and $28,000 a month, going at least as far back as the beginning of this year. The restaurant only stayed open because the owner would cover the losses out of his own pocket. In the light of those staggering numbers, major structural changes seem inevitable if the company is to survive. “It’s almost like I came in and said they’re going to be successful now, and they all left. It’s that ridiculous,” Levine said. Nature's Express founder Carl Myers, during happier times at the restaurant (via Facebook). But Daniel, the fired chef, said that many of the changes that Levine plans to implement — e.g., streamlining the menu, raising prices, and replacing the restaurant’s overly expensive point of sales system — were things that he and other staff members had suggested well before Levine came onto the scene several months ago, initially as a consultant hired by Myers. In fact, Daniel places the blame for the restaurant’s financial failures squarely on the former owner’s shoulders. According to Daniel, Myers, a medical oncologist who lives in Arizona, was an inattentive and distracted business owner who refused to implement any changes. In particular, Daniel said that the business, which was founded in 2010, was never intended to be a stand-alone restaurant. Granatowski and Daniel both acknowledged that the new owner of a restaurant has every right to make whatever structural and staff changes he deems necessary, but they took issue with what they believe to be a veil of secrecy that has surrounded the transition. When I asked Levine who the new owners were, he would only say that they had formed a holding company and hired him to turn the restaurant’s finances around. When asked if he had an ownership stake in the company, Levine said, flatly, that he did not. Moreover, Levine said that firing Daniel was “part of what was in [his] job description” when he was hired. But when reached by phone, Myers, the former owner, said that while Levine might very well have silent investors whose identities he’s choosing to protect, the business transaction he made was with Levine alone. “I sold the business to Josh Levine. How that interfaces with his other businesses and other potential owners, I don’t know,” Myers said. Controversy and unanswered questions notwithstanding, Levine is moving ahead with his plans for Nature’s Express, confident that he’ll be able to turn the struggling business around. As Levine told Berkeleyside Nosh, those plans include expanding the restaurant’s line of vegan baked goods (which will include the addition of Pepples donuts) and the use of more organic and local ingredients. He also told me that the production kitchen would be dissolved and put to other purposes. He said he hopes Nature’s Express will be ready to reopen this Thursday, July 31.